The TPP is still secret and according to the terms in this year's fast-track legislation it will remain secret for 30 days after the president formally notifies Congress that he will sign it. That could be a while still, as the agreement's details need to be "ironed out." After that 30-day wait the full text has to be public for 60 days before Congress can vote. Expect a massive and massively funded corporate PR push. 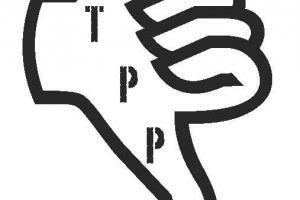 The biggest corporations very much want TPP. 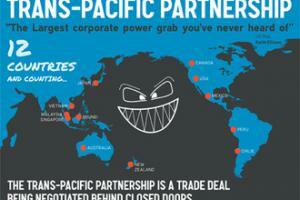 The Trans Pacific Partnership (TPP) - what's at stake? Why the secrecy, why the rush, why cut-off debate and input? The reason is - Money, big money, says the New York Times. 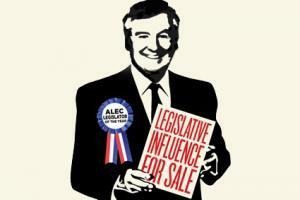 Major American business interests, from Nike to Boeing and Hollywood to Silicon Valley, want the deal badly. 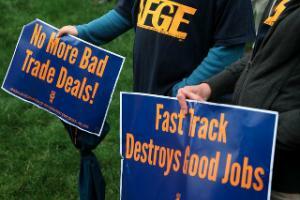 Labor and environmental groups see it as a threat to American workers at the expense of profits. Joseph Stiglitz on the Trans Pacific Partnership: "This Is A Big Deal"
The TPP is a massive trade agreement between the United States, Canada, Chile, Australia, Brunei Darussalam, Malaysia, Mexico, New Zealand, Peru, Singapore and Vietnam. Critics of the agreement say it amounts to the promulgation of corporate globalization and neoliberalization and have likened it to "NAFTA on steroids."